Behind every legend, lies an impossible dream! Madhya Pradesh Equestrian Academy recently organized the Junior National Equestrian Championship and Madhya Bharat Equestrian Championship. Featuring thrilling competitions of three-day dressage and cross-country race, the stupendous competition received humongous participation from brilliant young horse riders from all over India. 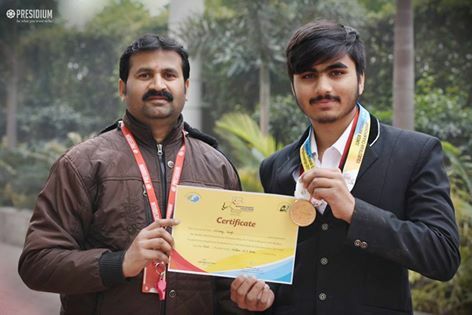 We feel immensely proud to announce that Nirbhay Singh of grade 10 from Presidium Gurgaon won Gold Medal in this national-level championship, held at Bhopal. Kudos to Nirbhay and his mentors!